Home schooling was the earliest form of education and often early teachers lived with the local families and taught the children in return for room and board. Anyone who could read and write, do a little arithmetic and had a slight knowledge of geography and grammar could teach. Students learned spelling, writing, reading and arithmetic, using slates for schoolwork and sharing books. Education was not always a choice for early settlers with so much work to be done at home. Single room schools were built across the province in the 1800s and early 1900s. Most were built to a similar plan: one room, woodstove, desks, slate blackboard behind the teacher's desk on a raised dais, and a school bell. Students helped cut and haul fuel for the stove as well as feed the fires in the winter. One-room schools held between 35 to 40 or when population was at a peak, up to 60 students. The boys sat on one side and the girls on the other. Some students only finished grade 2 or 3. The boys entered the fishery at about the age of 7 with their fathers. The girls got to stay longer in school and were better educated. Every child had the choice of taking a lobster sandwich to school for lunch, but by all accounts they had eaten so much lobster, they didn't appreciate it for the delicacy it is. Muriel Bartlett who taught in both Terence Bay and Goodwood recalls that during her teaching career, at first there were no truancy officers and it was not compulsory for children to attend school. 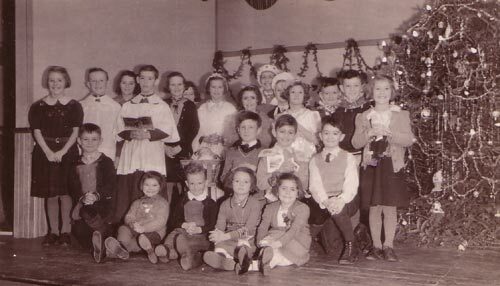 Early Christmas concerts were favourite annual events where stages were made out of fish boxes and for a curtain, the students strung wires covered with blankets. She says it was the social event of the year. Names were drawn for exchange of presents and the teacher helped purchase all the gifts. Concerts would feature recitations, playlets, songs and dances. She also recalled how there was no official curriculum from the municipal school board and no networking between teachers. Everyone was more or less on their own. School books were passed from one student to another. She also reflected that school was a social event, the only time people met friends and future spouses. The year 1958 saw the end of the Little Red Schoolhouse era. The Halifax County School Board decided to build a regional school for pupils from Upper Prospect, Shad Bay, Terence Bay, Lower Prospect, White's Lake, Bayside and the Dovers. In 1959 the Atlantic Memorial Consolidated School opened in Shad Bay. Sisters of Charity who taught in the villages in the early days were: Joseph Bernadette, Mary Ada Boone, Eucharia Franklin, Veronica Marie, Ellen Vincent, Noreen Trainer. Others who taught were Muriel Congdon Bartlett (Terence Bay and Goodwood), Sadie Spares (Terence Bay), Marjory Spares (Coolen's Beach), Clara R. Tanner (East Dover), and Irene Kennedy (West Dover). The Sisters of Charity who taught at the Atlantic Memorial School were: Mary Ellen Murray, Leo Alice McCraith, Catherine Celine Hector, Anne Benedict Lancaster, Sophie O'Neill, Agnes Louise Mahar, Helen Balch, Angela de Lourdes Macdonald, Noreen Trainor, Mary Ida McInnis, Anita Gagnon, Leo Kevin Fahey, Francis Josephine Kelly, Patricia Kelly, Cecile d'Entremont, Joan O'Keefe, Madeleine Keating, and Mary O'Neill. 1820: residents of Upper Prospect petitioned for a school to be built. It was denied but the residents constructed a school themselves. 1839: Lower Prospect School District extended from Pennant Bay to Head of Terence Bay. A teacher there was Timothy Horan who earned 30 pounds year. Upper Prospect School District included settled islands. In 1839 there was teacher Jane Saul who earned 28 pounds per year. 1859: First school built in Lower Prospect, 20 by 14. 1900s: A school was located in the village of Terence Bay near the government wharf. 1915: Irene Kennedy taught at the school in West Dover. 1930s and 1940s: children attended a one-room school located at the crossroads in Terence Bay and Muriel Bartlett arrived to teach there. Students totaled 113 children from grades primary to 12. In 1935 an additional teacher Marion Graham was hired to help. Two classes with about 55 children each were then handled by the two teachers. 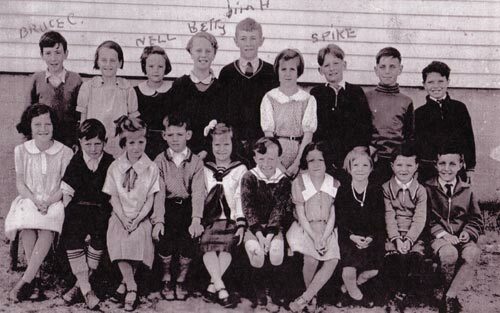 1948: Mount Carmel School in Upper Prospect closed and a school opened in White's Lake with 44 students from Shad Bay and White's Lake areas. 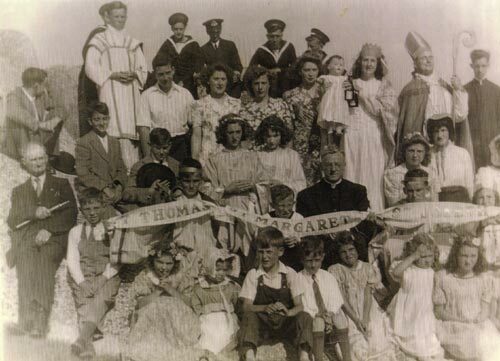 1949: The Sisters of Charity opened a school in Terence Bay. Sisters Mary Aeneas and Agnes Mercedes taught 44 students from grades 1 to 9. It is described as being, "built on the summit of a hill, facing the east...a large building with a concrete basement, ......enclosed furnace room" and with indoor plumbing. 1950-51: Sister Ellen Vincent was Principal at Terence Bay School. 1951: Terence Bay school heating system was changed from coal to oil. 1952: A four-room school was built in Terence Bay on a parcel of land granted to the school Trustees by Leo Little. This school, the Crossroads School was designed by Douglas Webber and held grades primary to eight. 1950s: Terence Bay Crossroads School became overcrowded with about 500 students and the children attended on a split day cycle. 1957: Terence Bay School had 177 children registered and four teachers. 1953: Overcrowing was a problem at the Shad Bay School with 81 students. A new teacher, Mrs. Ida Coolen was hired. 1954: The Hilltop Home and School was organized. The Terence Bay School was enlarged to four rooms for primary to grade 9. It had a library, auditorium, and French room. 1956-57: A new well was drilled at Terence Bay School. 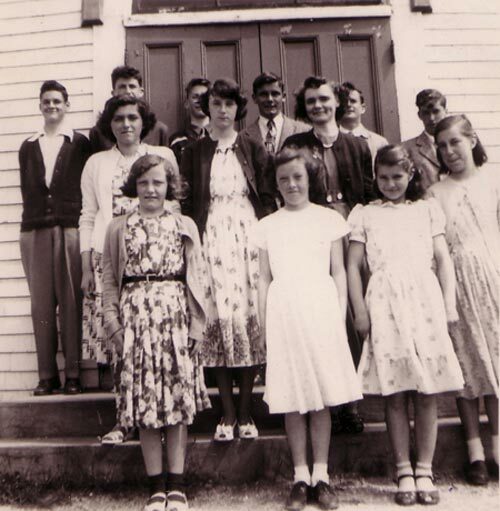 1959: Atlantic Memorial Consolidated School opened in Shad Bay. It had 10 classrooms, a library, an auditorium and two teachers rooms. There were twelve teachers: Sister Mary Ellen, Principal and Diane De Long, Vice Principal. It included classes from grades two to eight. Primary and grade ones were taught in the old school building. It accommodated students from not only Shad Bay but also White's Lake, Terence Bay, Bayside, Upper Prospect, Lower Prospect, McGrath's Cove and East Dover. 1960: An addition was made to the Terence Bay School, designed by L. R. LeDaire and built by R. B. Havill. It provided six additional classrooms, an area for physical education and other activities, a principal's office, staffroom and kitchen. Crossroads School, Terence Bay, opened on September 3, 1952.